CEC delivered a package of ecology, arboricultural and landscape consultancy services for redevelopment of this locally well-known and important site, after the former Four Winds Inn public house closed in January 2016, and was destroyed by a fire in early 2017. 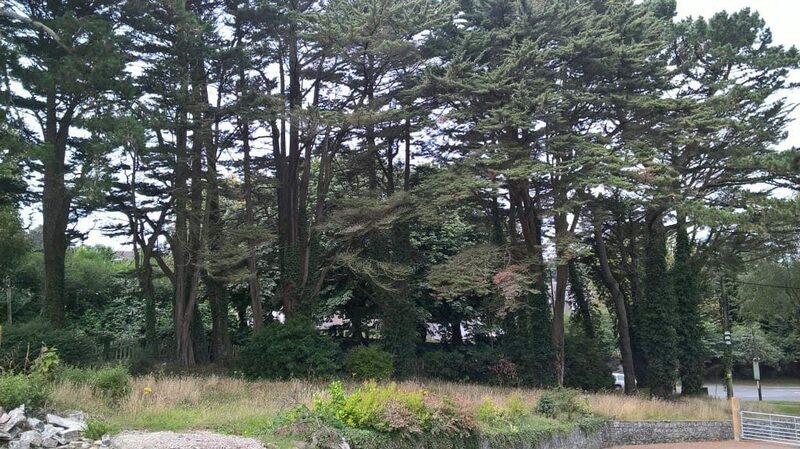 After an initial outline planning permission for student housing, Cornwall Council’s shift in policy regarding student housing meant that it was refused. 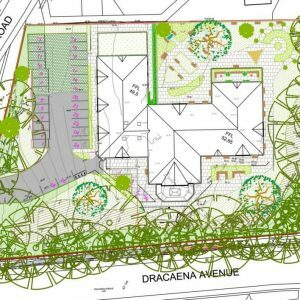 A new submission was prepared suggesting a care home use instead, which has now been approved. We worked closely with ArchitecturePLB to come up with a scheme that responded to local context and preserved existing landscape resources on site. 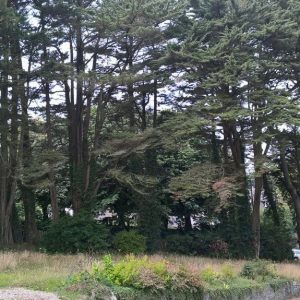 Four Winds – a much loved and locally well-known site in Falmouth – is characterised by its treed boundaries with Monterey pines and cypresses forming a distinctive entrance to Falmouth town centre. 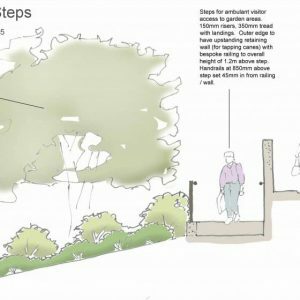 The presence of these trees and the site’s proximity to residential dwellings were two key constraints that had to be considered in the design and had a strong influence on the final layout and appearance of outline proposals. 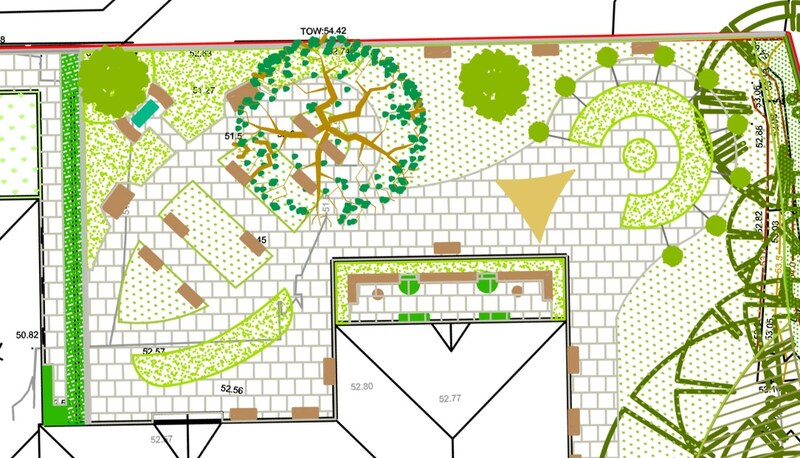 CEC undertook a Preliminary Ecological Appraisal, a BS5837 Tree Survey and a Landscape and Visual Appraisal to ascertain baseline conditions and input to the layout development and design process, working closely with ArchitecturePLB. Following initial surveys, further ecological surveys for reptiles and bats were undertaken also feeding into the design process. 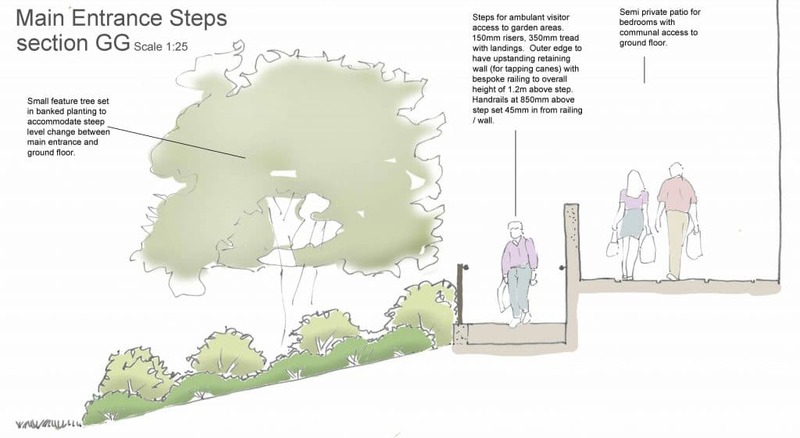 Our expertise was required in meetings with the planning authority, working with Cornwall Council’s tree officers and attending a Design Review Panel session. CEC also produced wireframes for key viewpoints to illustrate potential visual changes and the massing and height in views close to residential receptors. 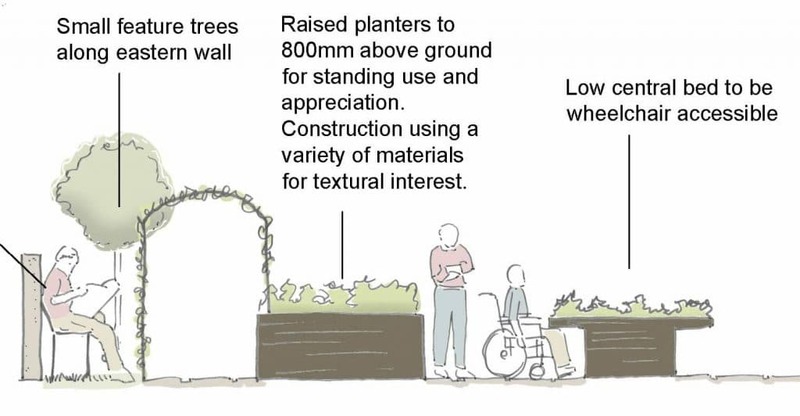 A landscape strategy was developed that dealt with tree retention and planting of new trees to be able to replace the existing trees once they start to fail due to their age, providing some screening to the northern boundary, incorporating ecological considerations, and creating a suitable external environment that can benefit a care home use. Once proposals were fully developed, our reports were finalised to include impact assessments for trees, landscape and visual issues, as well as preparing a suitable report to address the ecological HRA Screening and Contribution requirements. 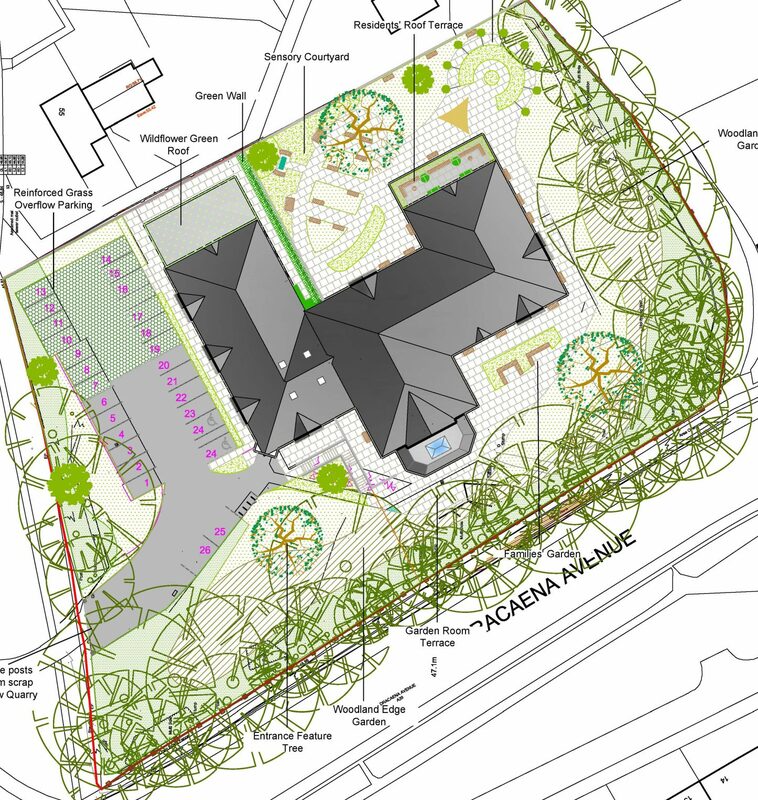 CEC’s involvement with Four Winds contributed to the layout and appearance of the scheme, ensuring that it responded to site and local context and that a forward-looking landscape strategy was adopted, protecting existing trees, but planning for their gradual replacement in future due to their limited remaining lifespan. 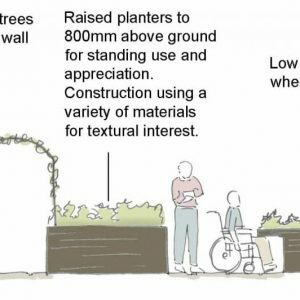 Our conversations with the tree officers and our presentation at the Design Review Panel helped the decision makers to understand the proposals better and see that this high-quality scheme could be sensitively integrated into the existing local landscape. 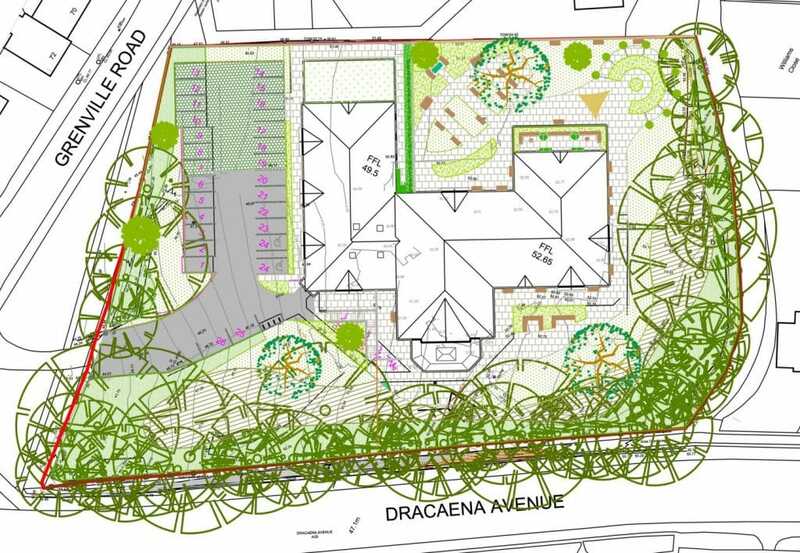 Ultimately, that helped to achieve outline planning permission for an 80-bed care home on this distinct site in Falmouth. 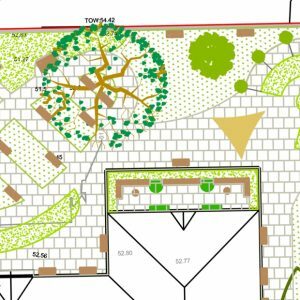 CEC provided a range of services from landscape design, through to tree and ecological surveys and a visual impact assessment. Their ability to combine these services was invaluable in the delivery of a robust coordinated planning submission for a very complex, constrained site.